When it comes to cruising, exotic ports and warm locales like Mexico, Jamaica, and Miami come to mind. But cruising is booming in popularity and locations from Canada to Bermuda to the Caribbean are now all cruise destinations. 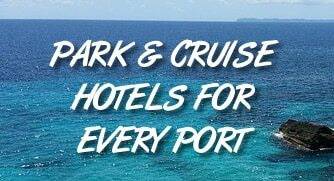 Meanwhile, ports that might not come to mind when you think of cruising are becoming some of the most popular in the United States. Case in point is Boston. While no one will confuse the port with Miami, more than 300,000 cruisers now visit the port each year. Meanwhile, visits to Canada, Bermuda, Europe, the Caribbean and Central America are all possible from the Boston. If you’re unfamiliar with the Port of Boston, don’t worry. As the port continues to grow in popularity, more and more new cruisers are headed to the area. That’s why we have everything you need to know about sailing on a cruise from Boston. Distance to Airports: Boston Logan is just four miles away from the port. The trip can take anywhere from 10-30 minutes, depending on traffic.